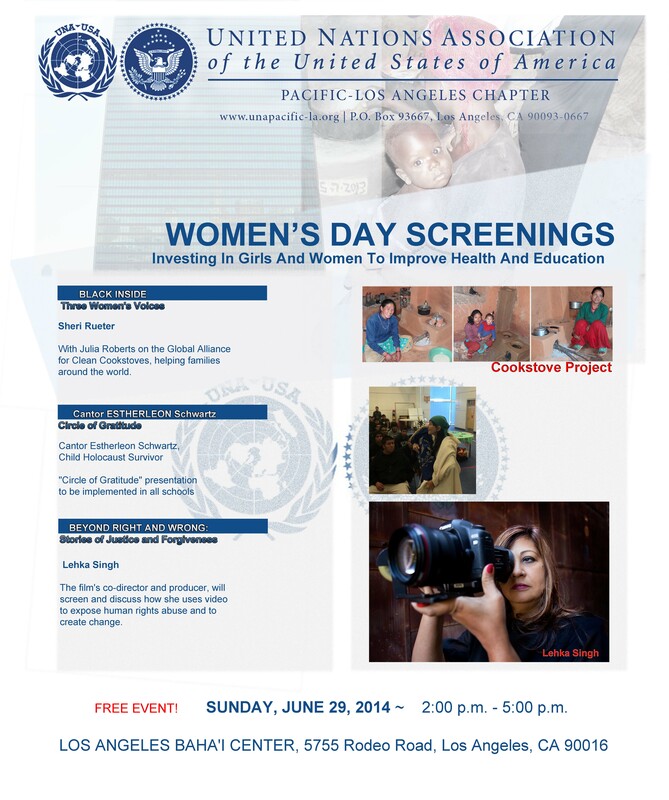 You are invited to the United Nations Association of the USA Pacific-Los Angeles Chapter’s Women’s Day Event on Sunday, June 29, 2014. 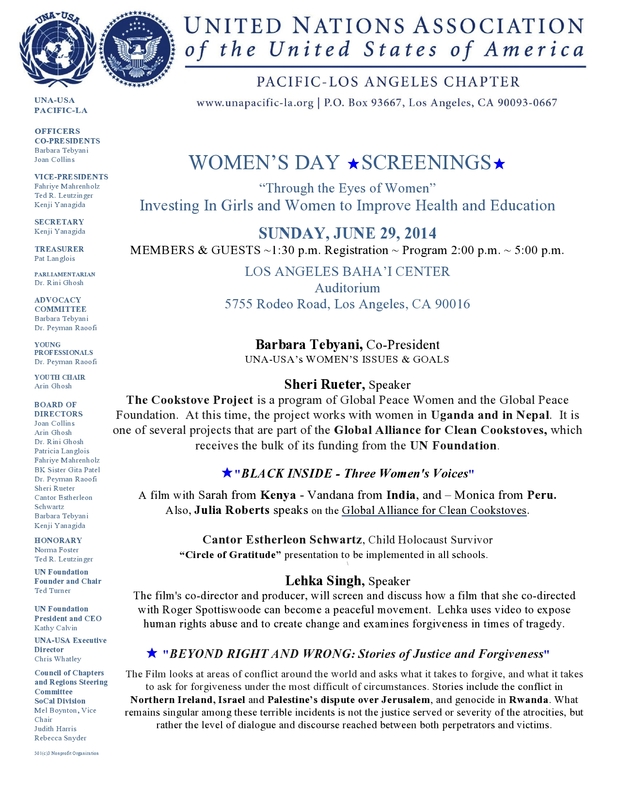 This very special event will be held at the Los Angeles Baha’i Center, 5755 Rodeo Road, Los Angeles, CA 90016. The program will begin at 2:00 p.m. Please see the attachments for the flyer and for more information about the event. Looking forward to seeing you there.